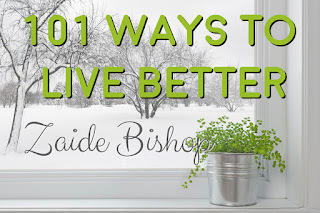 Welcome to my 101 series, which explores 101 little things you can do to improve your day to day life, and the world, just a little bit. Life gets on top of us quickly when we are busy. And we are ALL busy. It can be really hard to keep a House presentable and usually we end up with a complete disaster by the weekend and spent all weekend trying to make the place presentable, only for it to be trashed again by Tuesday night. I am a naturally tidy person. If things are a mess, I feel depressed and stressed. My house is always well presented, not because I am any kind of domestic goddess, but because it is what is best for me and my happiness. 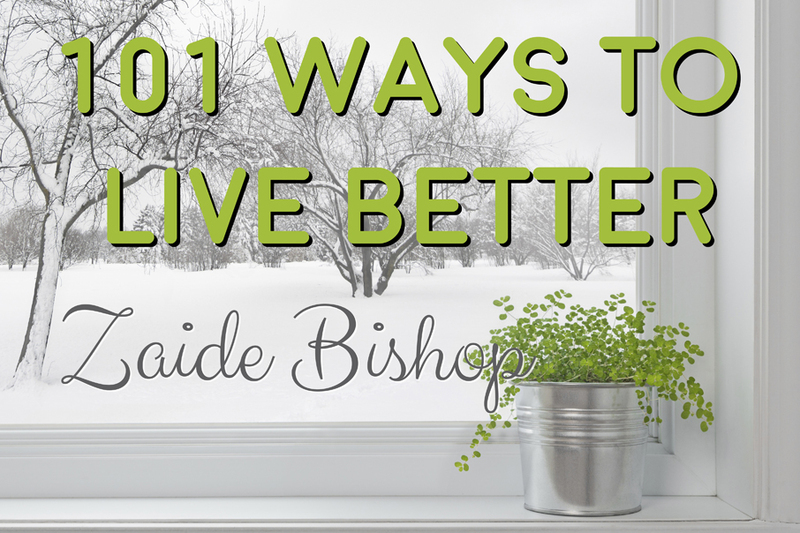 I’m going to share some tips I use to keep my house tidy all the time, without spending hours on it. At most, I spent five minutes a day keeping everything organized, which I am hoping is about what you want to spend too. Marie Kondo: "The Life Changing Magic of Tidying Up"
When everything in your house has somewhere it belongs, the next step is pretty easy. Once a day, (I do this in the morning, but you might prefer to do it before you go to bed) I go from room to room and put everything away. I start in my room and make my bed. Everyone makes their own beds in my house and I don’t put away things in anyone else’s bedroom. That is their space to keep as tidy or as messy as they wish. However, it helps to train children to put everything away once a day young. By three years of age, they should all be able to make their bed and put away their toys. I find it is better to have filled the dishwasher and wiped down the kitchen before I begin tidying. However, that is up to you too. I can just never feel that everything is ‘away’ if there are plates on the sink. Once my bed is made, I find anything in the room out of place (clothes on the floor, books, phones, etc) and I put them where they belong. I then move to the bathroom, the living room, the dining room and the study. I don’t let myself get distracted with any other projects. This is not a time for CLEANING, this is only a time for things to be put away. If you do have to do cleaning, you will find it is much easier when everything is put away where it belongs anyway. And it really is that simple. The real trick is for everything to have a place to go. Otherwise, one random item can stump you for half an hour, as you try and work out where it belongs, or where all the other similar items are stored. If an item doesn’t have a home in my house, it can’t stay in my house. It really is one the things I take care of right away if I buy something new. Nothing is purchased unless I know where it will go first and the day after birthdays and Christmases is always spend making sure new items have a place to go. PS: If you find yourself picking up after your loved ones, don’t put their things away. Put them in garbage bags in the garage and if they are still there untouched at the end of the month, I would just throw them out. One of my partners kept leaving his clothes around the clothes hamper instead of in it, but he only had to fish them out of the trash once and I never had to pick them up off the floor again. The words: “It was on the floor, so I assumed it was trash.” Are very powerful.